Rabbi Aaron Finkelstein was the founding rabbi of Prospect Heights Shul in Brooklyn, New York, and serves as the Middle School Rabbi at Milken Community Schools. Originally from California, he graduated from Washington University in St. Louis with a BA in Political Science as well as Jewish and Near Eastern Studies, and received semikha from Yeshivat Chovevei Torah in 2011. 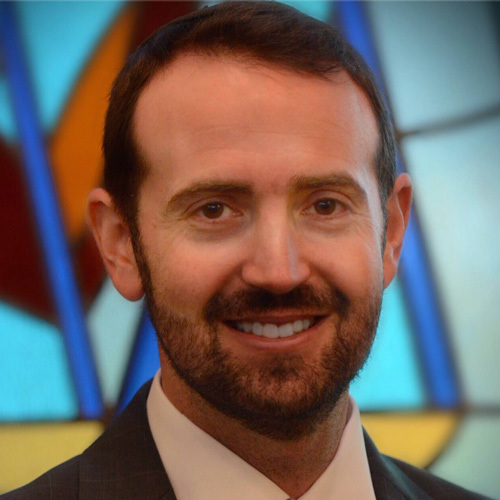 He served as Assistant Rabbi at Congregation Sherith Israel in Nashville and the chair of the Nashville Board of Rabbis. Rabbi Finkelstein was a 2015 – 2016 fellow in Yeshiva University’s certificate program in Experiential Jewish Education, and taught Judaic Studies at both Hannah Senesh Community Day School in Brooklyn and Akiva School in Nashville. In addition to hobbies like basketball and cycling, Rabbi Finkelstein is an avid cook and baker, and loves to host meals with his wife Julie.